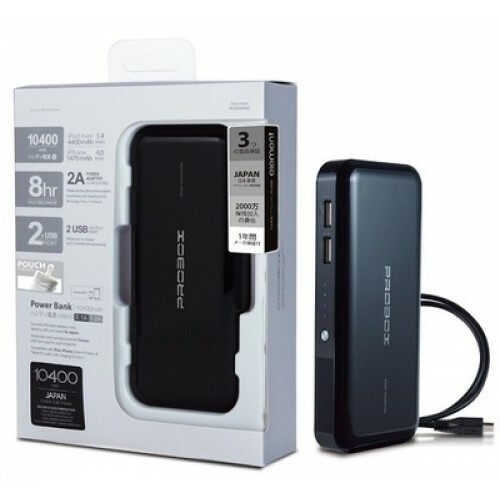 HE3-10KU2 is a portable power pack with 10400mAh internal Li-ion batteries, which provides a charging source for your smart devices through standard USB 5V port. With HE3-10KU2, you can charge your devices on the road anytime and anywhere. It contains powerful 2A input current that can be recharge within 8 hours. Highly efficient charging performance can fully recharge 10400mAh during your bedtime. It also provides one 2.1A and one 1.5A output for 2 devices charging at the same time. Its elegant and compact design provides a balanced proportion ergonomically and visually that user will hold it in one hand with perfect comfort. Features:HE3-10KU2 is a portable power pack with 10400mAh internal Li-ion batteries, which provides ..
4 in 1, Anti Theft Design Grey Backpack, Slim Portable Power Bank, Wireless Mouse, Izone HBQ i7 Wi..
Mi Power Bank 2Product dimensions 130 x 71 x 14.1 mmBattery type Lithium polymer batteryRated capaci..
2.1CH MULTIMEDIA BLUETOOTH SPEAKERBLUETOOTH OPERATION RANGE WITHIN 10 METERSUSB AND SD SLOTFM RADIO ..
HTC M8 refurbished 32GB, 2GB 4G LTE, 5"
Htc M8 Innovative Design ..